The acclaimed and captivating true story of two restless society girls who left their affluent lives to “rough it” as teachers in the wilds of Colorado in 1916. 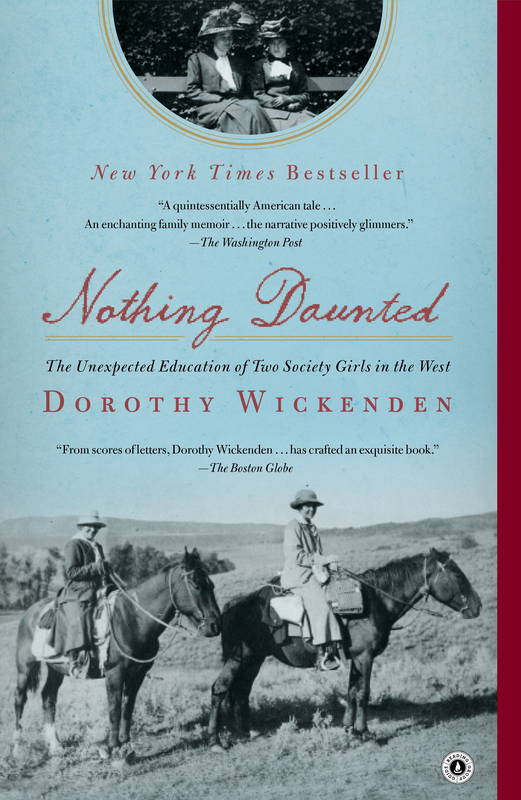 In the summer of 1916, Dorothy Woodruff and Rosamond Underwood, bored by society luncheons, charity work, and the effete men who courted them, left their families in Auburn, New York, to teach school in the wilds of northwestern Colorado. They lived with a family of homesteaders in the Elkhead Mountains and rode to school on horseback, often in blinding blizzards. Their students walked or skied, in tattered clothes and shoes tied together with string. The young cattle rancher who had lured them west, Ferry Carpenter, had promised them the adventure of a lifetime. He hadn’t let on that they would be considered dazzling prospective brides for the locals. This reading group guide for Nothing Daunted includes an introduction, discussion questions, ideas for enhancing your book club, and a Q&A with author Dorothy Wickenden. The suggested questions are intended to help your reading group find new and interesting angles and topics for your discussion. We hope that these ideas will enrich your conversation and increase your enjoyment of the book. In 1916, two restless society girls from Auburn, New York, left behind their charity balls and ten-course luncheons for the mountains of the West. Dorothy Woodruff and Rosamond Underwood abandoned the refinements of Victorian life to teach in Colorado—traveling by train to Denver, and then to the remote town of Hayden, before riding in a wagon up the mountains to an isolated settlement called Elkhead. Their students, the children of homesteaders, came to school from miles away in rags and bare feet. Nearly 100 years later, Dorothy Wickenden, the granddaughter of Dorothy Woodruff, came across the extraordinarily detailed letters these two women wrote to their families from Elkhead—about their teaching, the friends they made, the idiosyncratic characters they met, and their adventures throughout the county. Nothing Daunted is a lyric and exhilarating portrait of two young women who find themselves by leaving beyond what was most familiar. 1. In the Prologue, Wickenden calls Ros’s and Dorothy’s adventure “an alternative Western.” What do you think she means by this? After finishing the book, do you agree? How does their story compare to your idea of the classic “Western”? 2. Dorothy and Ros, Wickenden writes, were “bothered by the idea of settling into a staid life of marriage and motherhood without having contributed anything to people who could benefit from what talents and experiences they had to offer.” (p. 29) How does this statement influence your perspective of Ros and Dorothy? What did they eventually pass along to the students of Elkhead? What did they learn from their students and their families? 3. How are Ros and Dorothy different from each other? How are they similar? 4. Each chapter opens with a photograph—from Dorothy teaching her students in 1917 in Chapter 10 to Bob Perry outside his cabin in Chapter 14. How did these pictures shape or enhance your reading of Nothing Daunted? How did they add to your understanding of the setting and time period? 5. Similarly, how did the inclusion of letters and notes enhance your reading? Was there one particular or memorable correspondence that stood out to you? 6. William H. Seward was known as a firebrand for representing the black defendant in a notorious murder case and for befriending abolitionist Harriet Tubman. What influence did Seward, Tubman, and other strong personalities in Auburn have on Dorothy and Ros? 7. How would you define Ros and Dorothy’s teaching experience in one word? How did people react to their arrival in Elkhead? How did the girls’ families react to their decision to leave the comforts of their homes in Auburn? 8. How would you describe Ferry Carpenter? Wickenden writes that he “believed that American democracy was born on the frontier.” (p. 65) What effect did the lawlessness and opportunities of the West have on Ferry’s imagination and aspirations? How did the frontier influence Ros and Dorothy? 9. Discuss the title of the book. Do you think it refers to the heroines’ courage? What kind of education did Dorothy and Ros themselves receive in the West? 10. After Ros and Dorothy applied to be teachers, Ferry was told that one of the applicants “was voted the best-looking girl in the junior class of Smith College!” What advantages—educational, social, physical—did Ros and Dorothy have over other applicants? What were their potential disadvantages? 11. Ros and Dorothy received nearly identical scores on their Colorado teacher’s exams. Ros wrote to her mother: “I think Mrs. Peck must have been perjuring her soul, to give [those scores] to us.” (p. 161) What did she mean? 12. How did the structure of the narrative, with its flashbacks to the past and flash-forwards to the current day, influence how you read Nothing Daunted? 13. Do you think anyone else could have written this story about Ros’s and Dorothy’s time in Colorado? How would the story have been different if it was not written from the perspective of a family member? 1. 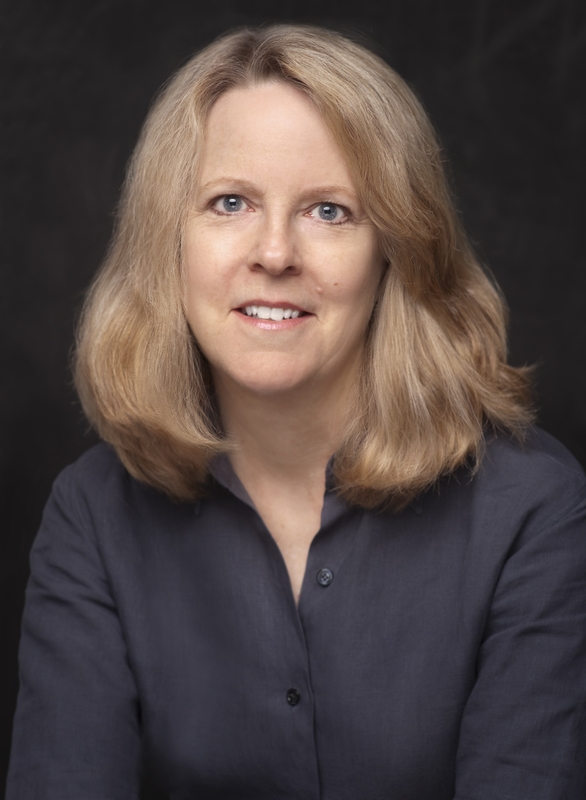 Wickenden writes that Dorothy “recorded an oral history, speaking with unerring precision about her childhood and about her time in Colorado. Retrieving the transcript of the tape, I was reminded of the breathtaking brevity of America’s past.” Try recording a brief oral history of your own, perhaps about an important trip you took, a big event in your family, or some other significant milestone. Did you remember details from the story by saying it aloud that you had forgotten? 2. Find some old letters, post cards, diaries, or other artifacts of your family’s past. After carefully reading and taking notes on their contents, write a short narrative of an event from within—a trip, a wedding, or some other event. Be sure to include whatever details you can to give it real shape. 3. Prepare some recipes that have been passed down in your family. Perhaps, like the miners of Oak Creek, members of your family were immigrants, bringing recipes with them. Alternatively, look through a relative’s cookbook for something you’ve had with them before. Bring the dish to your book club meeting and share the history of the dish. You write that you remember your grandmother being “impeccably attired and sometimes stern.” But the picture of her in the book is of a loving teacher. What did you learn from writing this book about your grandmother that changed your idea of her? My sense of her wasn’t changed as much as it was enhanced. I was surprised at how readily she and Ros adapted to a life that, as she described it in one of her letters, was “real living, with none of the frills which fill up so much of our lives at home.” It was also extraordinary to get a full, unfiltered, picture of her, from her letters, at the age of 22 in Europe, and then at 29 in Colorado. You write of the forced removal of the Utes, the treacherous laying of the rail up Hell Hill, and the dangerous conditions of the coalmines. Why were these stories important to you in setting the scene for Hayden? Dorothy and Ros knew almost nothing about the settling of the West. Dorothy wrote about the men who built the railroad that took over the Continental Divide, “I can’t imagine how they ever did it.” Similarly, Ros wrote after their tour of a mine, “I never appreciated ‘coal’ before.” I had the advantage of hindsight, and knew, even before I began the research, that the often-harrowing experiences of the early pioneers would provide a compelling backdrop for their own exuberant discoveries. Nothing Daunted is an extension of a much-beloved New Yorker article. Can you describe the process of turning an article into a full-length book? How did you arrive at the right structure for this story? The New Yorker captured Dorothy and Ros during their year in Colorado. I knew from my grandmother’s stories when I was growing up, and her oral history, that she had been brought up to lead a very different kind of life, and that the history of Auburn alone was full of compelling material about 19th- and early-20th-century industrial America. The little towns in the West, like Hayden, the coal town of Oak Creek, and even tiny Elkhead, were rushing to catch up to the East. I wanted to show the lives of people who often don’t find their way into history books, even though they played an important role in the building of the country. One way to do that, I thought, was to tell the stories about the men and women who created these communities. The structure took some work. I wanted to juxtapose their years leading up to their decision to go west with my hero’s, Ferry Carpenter. This ruled out a straight chronology, and required some splicing and flashbacks. But I tried throughout to keep the focus on Dorothy and Ros. When Bob Perry is kidnapped, you narrate action with novelistic details like “when Perry instinctively ordered him to put it back, the tall man grabbed it and threw it to the table.” What were some of the research methods you used to get such great details? How did you choose and refine raw information to craft a story from it? Virtually all of that action was taken from court transcripts of the inquest held over the miner whom Perry shot when he escaped from his captors. There were also newspaper stories that recounted the kidnapping. One of the things I found in the attic boxes of the Perry family was a letter from a Greek miner in Oak Creek who begged Perry—who managed the largest mine there—not to blame all of the Greek workers. In your opinion, is there a modern-day frontier that works the same magic on our imaginations and our culture today? There’s nothing quite like the old West to inspire the American imagination, and the frontier is long gone, but you still see an idealistic yearning, to help out and to explore, in college students who spend their junior year in Bangladesh, and post-grads who join Doctors Without Borders—or, for that matter, Teach for America. Wendy Kopp’s vision about improving substandard schools in benighted parts of the country is a modern, institutional, version of what Ferry Carpenter was experimenting with in Elkhead. How long did the research for this book take? Did you travel much to Colorado? To Auburn? The research began in the fall of 2008, when I started my New Yorker article, “Roughing It,” I went to Auburn, and several times to Colorado, where I wanted to experience the summer and the winter in Elkhead. I rode a horse from the spot where Dorothy and Ros lived with a homesteading family to the schoolhouse, to get a sense of what their commute was like. I also wanted to learn as much as I could about the history of Denver, the railroad over the Continental Divide, Steamboat Springs, Oak Creek, Hayden, and Elkhead. The museums and libraries along the way were invaluable, as were the descendants of many of my characters. What advice do you have for others who want to get to know their family histories? I was lucky that my mother and aunt had saved Dorothy’s letters and recorded her oral history. If available, that’s the best place to begin—with any firsthand accounts that you can find. Interview surviving family members, who may remember more than they think they do about stories that have been passed down. These accounts contain extraordinary clues to help with the rest of the hunt. A passing reference my grandmother made to a visit she and Ros made to a palatial estate in Cannes in 1911 led me to the Cannes Municipal Archives. The staff knew the villa and sent material on its history—including the date it was bought by Dorothy’s mother’s cousin. There are also great genealogical and other resources online, including Google Books, and every town I looked into had good histories of its early years and inhabitants.